Bobby Wilson Electric Co., Inc. Servicing the Research Triangle Park, Raleigh, Durham, and surrounding areas, we are a full service industrial/commercial electrical and component installation company. Our services include everything electrical. 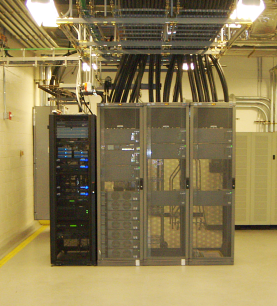 From High Voltage Power plants to HVAC Controls and Security Access Systems. See our list of services on our services page. We are fully bonded and insured. We participate in the NC Apprenticeship Program and maintain a high ratio of licensed electricians. Our contract quotes are accurate and concise. We give 100% attention to detail for every job we do for our clients. View our client list, each with 100% satisfaction with our work! If you have a new construction job, or your quote/bid seems a little bit over the top, give us a call today! You can also fill out our questions or comments form on our contact us page.